Christina Kennedy, MA, LAMFT, is a Licensed Associate Marriage and Family Therapist who cares deeply about helping her clients find the happiness they seek, while restoring balance in their lives. Christina is a warm, empathic therapist who works to provide a safe, non-judgemental space for individuals and couples to feel understood and accepted so that healing can take place. Christina specializes in working with couples to bring healing and restore connection. In addition she works with individuals struggling with anxiety, depression, relationship issues, low self-esteem, grief, trauma, addiction, domestic violence and parenting issues. Her therapeutic approaches include Cognitive Behavior Therapy, Emotionally Focused Therapy, and Experiential Therapy. 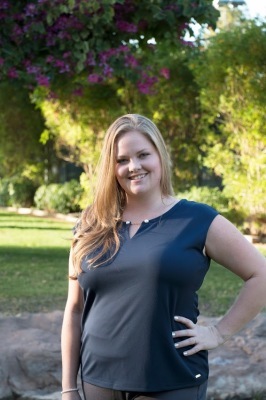 Christina earned her Master's of Arts degree in Marriage and Family Therapy at Hope International University and her Bachelor of Arts degree in Psychology from California State University, Fullerton. She has also completed Advanced Training in Emotionally Focused Couples Therapy (EFT). Additionally, she is "Prepare and Enrich" certified and has completed her Level 1 Training in Gottman Couples Therapy. "I look forward to providing a warm, empathic and safe, non-judgemental space for individuals and couples to feel understood and accepted so that healing can take place."